MILAN (AP) — A 4.7-magnitude quake shook residents and structures early Tuesday in a region of central Italy that had been struck by a series of powerful quakes in 2016. No deaths or injuries were reported. Mayors in towns affected did, however, report some damage from the temblor, which struck just before dawn, and said that checks were under way. Schools in some towns were closed for the day, while a local train line was reopened after being closed temporarily. The quake struck near the town of Macerata in the Marche region, which is still recovering from powerful quakes in October 2016 that caused widespread damage but no deaths, and was felt in the neighboring regions of Umbria and Lazio. The October 2016 quakes, including one registering 6.1 in magnitude, came two months after a deadly quake killed some 300 to the south in Amatrice, meaning many vulnerable structures in the mountainous, quake-prone had been rendered uninhabitable. That was cited by civil protection officials as a key reason that the most powerful quake in nearly 40 years didn't cause loss of life. 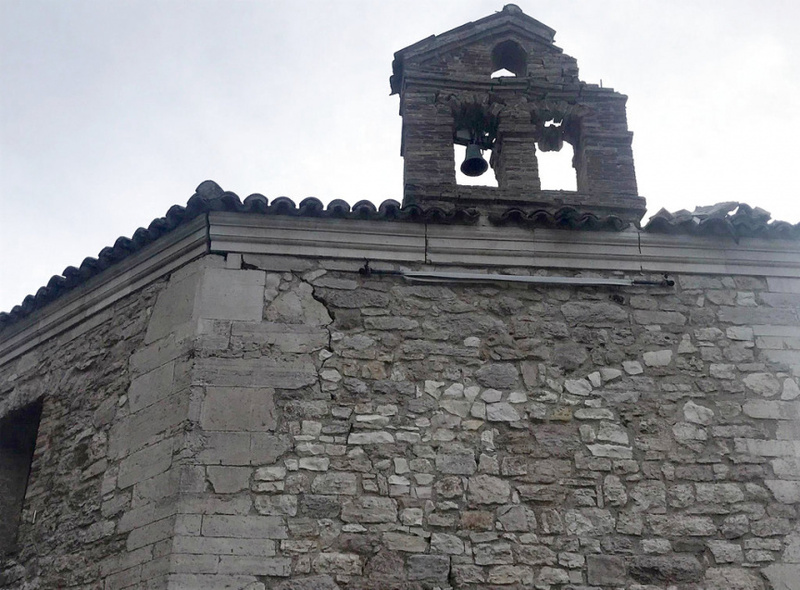 The mayor of the town of Muccia in Macerata province, Mario Baroni, where the quake was centered, told Sky News24 that the temblor had caused the partial collapse of a 17th century bell tower that had been damaged in 2016. He said the main concern was to ascertain any damage to homes that had remained inhabitable after the 2016 quakes. "We have few remaining inhabitable homes, and if they are damaged we will have even more people displaced by earthquakes," he said. Just 120 residences in Muccia have remained inhabitable after the 2016 quakes, and more than half of the town's 920 residents continue to live in emergency housing, according to the news agency ANSA. Baroni said that the Tuesday temblor was the strongest since October 2016 even if the area remains seismically active with frequent smaller quakes, including one in January. "In the end, people are beginning to live with quakes. But the uncertainty is creating a sense of anxiety and worry," Baroli said. The mayor in nearby Pieve Torina, Alessandro Gentilucci, said authorities were checking structures. ANSA reported that four families were evacuated from their homes in the town. "This situation never seems to end," Gentilucci said. "We are back in a dramatic situation, reliving scenes I never thought to relive." The director of the National Institute of Geophysics and Volcanology, Salvatore Stramondo, said that the Amatrice quake had reactivated a series of faults that have triggered dozens of seismic events a day in a vast region from Amatrice to Norcia to Macerata over the last 20 months. An average of three quakes a month register magnitudes between 4 and 5, he said.